PA officials harshly condemn Trump's avowal to reverse longstanding US and UN policy and recognize united Jerusalem as Israel's capital. solution after the Republican candidate said he would recognise Jerusalem as Israel's "undivided" capital if he won the US presidential election. Trump pledged Sunday during a meeting with Prime Minister Binyamin Netanyahu he would recognise Israel's claim over Arab east Jerusalem, which would break with decades of precedent and put Washington at odds with most UN member states. The official policy of the United States has been to refrain from recognizing Jerusalem as the capital of Israel, and to consider all neighborhood beyond the 1949 armistice line such as Ramat Shlomo, Ramot, Gilo, Neve Yaakov, and many others as "settlements" located on "occupied territory," even as the reality on the ground has changed to render this division entirely arbitrary. This is also the policy of the vast majority of other countries. Trump has now vowed to reverse this longstanding American policy. "Trump's statement shows disregard for international law (and) longstanding US foreign policy regarding the status of Jerusalem," Saeb Erekat, secretary general of the Palestine Liberation Organization (PLO), said in a statement. "Previous statements delivered by his adviser on Israel show a total abandonment of the two-state solution, international law, and UN resolutions." The Palestinian foreign ministry issued a statement criticizing Trump as well as his Democrat rival in November's election, Hillary Clinton, accusing her of overly favoring Israel at the expense of the Palestinians. "The state of Palestine will not serve as a bargaining chip for gaining the Jewish vote in the United States," the statement said. After a meeting with Netanyahu in New York, Trump's campaign released a statement saying the candidate "acknowledged that Jerusalem has been the eternal capital of the Jewish people for over 3,000 years". "The United States, under a Trump administration, will finally accept the long-standing congressional mandate to recognize Jerusalem as the undivided capital of the state of Israel," it added. The United States - and most other UN member countries - consider Jerusalem's final status to be a key issue to be resolved in peace negotiations aimed at a two-state settlement. The US Congress passed a law in October 1995 calling for an undivided Jerusalem to be recognized as Israel's capital and to authorize funding for moving the US embassy from Tel Aviv to Jerusalem. But no US president - Democrat or Republican - has implemented the law, regarding it as an infringement on the executive branch's authority over foreign policy. 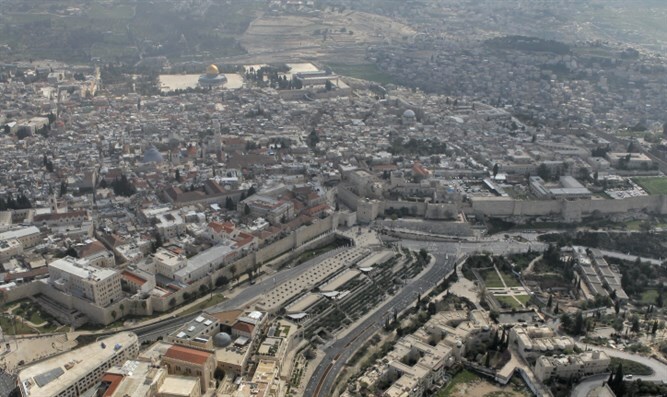 It is also true that no President, neither Democrat (Bill Clinton and Barack Obama) or Republican (George W. Bush) has seen fit to implement the congressional mandate as part of their own executive branch foreign policy prescriptions, opting instead to leave the status of Jerusalem as a bargaining chip for both sides.